We remember what it was like when we were growing up and our parents couldn’t get us the toys that we wanted because they were out of stock everywhere. Even with the ease of shopping online where things are readily available, this HOT toy has proven to be elusive. There have been stories from people who have ordered it and were excited that they actually got one only to get the dreaded email “We are sorry. 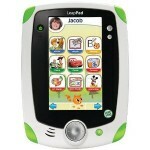 The LeapPad is out of stock”. After stalking the internet for weeks, we have managed to get our hands on one of these HOT LeapFrog LeapPad Explorer tablet bundles and would love for one of our followers to win it. To enter the giveaway, “like” all of the sponsors listed below and then fill in the Google document below. Only enter on one blog. You can also get an extra entry daily by tweeting the giveaway. Please refer to the rules listed below. Disclaimer: If you enter this giveaway, you agree to the terms listed below. The giveaway is open to US residents who are 18 or older. 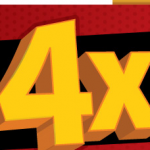 Facebook.com, Google, Twitter and LeapFrog are in no way affiliating, sponsoring, or endorsing this giveaway. 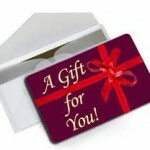 This giveaway is solely sponsored by the sites listed above and you will be giving your information to them. 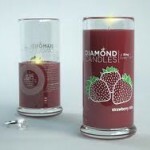 The giveaway will run from December 12th, 2011- December 19th at 11:59 pm EST. The winner will be chosen by Random.org and announced and contacted on December 20th and will have 24 hours to reply to the email until a new winner will be chosen. The prize will be sent Flat Rate Priority mail and will be hopefully received by the winner in time for Christmas. We can not be held responsible for postal delays caused by the holidays. If a new winner has to be chosen, the prize will definitely not be received by them in time for Christmas. Fill in the Google document above. The first entry is for liking all of the pages. If you do a daily tweet, you will need to fill in the Google Document each day (so you will be doing the document twice on the first day) and will have a maximum of 8 additional entries. You only need to enter on one blog (the Google document is linked amongst them all). If you do the daily tweet each day, you will have filled in the form a total of 9 times. Maximum 9 entries per IP address. Multiple entries (other than the 9 ) will be void. GIVEAWAY: $50 Randalls gift card! 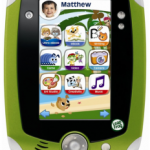 GIVEAWAY: LeapFrog LeapPad Explorer Learning Tablet!! MISSION GIVEAWAY: Win 3 Smilebox Memberships! i would love 2 win this for my son!! I would love one of these for my 3 children to play with! Awesome giveaway! Thank you for the opportunity! WOO HOO Merry Christmas! This is a GREAT prize! Hope to win. I liked all sponsors. I would love to win this for my 3 yo!!! That would make his Christmas awesome! I hope this is what I am suppose to do? I would love to surprise my little sweetie with this super special gift! Everyone is liked!! Hope I win!! Yay, would be nice to have a new one since my kids seem to have taken over mine. Thanks for the giveaway. Liked everyone and tweeted! I so wanted to get my boys one of these, but couldn’t justify the cost after buying them both the IXL last year!! This Mimi has 4grand girls that would love some new fun toys at my house! Hope Hope Hope I win! Have been trying to get my hands on one all season!! My son would jump over the moon for this giveaway!!! would love to win this for my son! i am unable to highlight, copy,paste the twitter message above..i cnt highlight anything? strange. gonna be tough to tweet phrase above hafta go look for the hashtag, i guess? Addrienne – it’s fixed now! My son wants one of these so bad i really hope I can win it for him if not maybe we can get it for him next year. I have 3 boys who would love to win this bundle giveaway! I love your site! I visit it daily! Ok I missed the part where I was supposed to fill in the form twice the day I entered! I did include my tweet link in the google form though that day. Is there anyway I can fix this? Go back and find the tweet and fill out the form again? My children would love this for Christmas!!! I am keeping my fingers crossed as we’ve had no luck finding it anywhere. Grandkids would love this. Thanks for the chance to win the giveaway. Liked all. Have a great Christmas. This would be a wonderful treat for my children! This really is a great prize, & I wanted to get this this year, but I cannot afford it – so winning it would be so awesome. Thank for the chance to win….. I “liked” everyone on Facebook!! Thank you!!! I woul love this fit my son! Great prize!! Thank you for the chance. Thanks for the chance to win! My daughter would love this…. I tweeted the giveaway! Thanks!! Oh my gosh ~ what an AWEsome giveaway to win! Crossing my fingers & toes! My 7 year old just asked for this yesterday. And I wasn’t able to get it for him. Would love to win for my son!!!!!!! Thanks for the chance! Good luck everyone! Merry Christmas! Thank you so much for the chance at this prize. Would be amazing to win for my son. Done! Hope I win, thanks for the chance.